Would you like to get involved with the social projects of Luz Verde Nicaragua? We are currently looking for applicants for the following positions (please click the link for a full description of the position). The skills required as well as expected length of commitment depend on the position. Apply via our non-profit partner Omprakash, who can also receive donations on our part. If you have multiple interests and skills, then please tell us and we can be flexible (our middle name!) about your definite position. You can reach out to us at cafeluzyluna@gmail.com for further information (or stop by if you’re already in town!). Position Role: The Administrative Officer is responsible for the smooth operations of the social enterprise, helping with day-to-day tasks across the entire organization, including the hostel, café, tourism and social projects. Development, digitalization and/or maintenance of a stream-lined accounting system. May also be involved in tasks relating to social network outreach, development or editing of newsletters or mailings, email follow-up, and more. Knowledge of accounting, preferably via online or software platform. Knowledge of Microsoft Office Suite tools, Google Docs, and various social network platforms. Intermediate or higher level of both Spanish and English. A passion for enabling and creating social change. Position Role: The Volunteer Coordinator is responsible for the recruitment and management of volunteers within the organization. This person will manage online recruitment, email follow up, and general well-being of the volunteers with the program. Create and/or update postings for volunteer openings. Meet regularly with volunteers and act as liaison between volunteers and Program Director to ensure the needs of the program as well as the volunteers are being met. Volunteer may also participate in engaging the public and tourists, volunteers or donors who may already be familiar with us through social media. Proficiency with Google Docs, Microsoft Office, etc. Position Role: The Educational Projects Coordinator will be responsible for developing and growing the curriculum and implementation of the educational programs sponsored by Luz Verde. This person will oversee all educational programs, including but not limited to the environmental education program, the library bus, community workshops and others. The Coordinator will work directly with Luz Verde’s Program Coordinator as well as individual project facilitators to create a cohesive educational program. Experience in educational techniques, specifically in developing community educational programs, curriculum and didactic programs. Implementation of daily activities with students in schools in local communities. Opportunities for teaching English may be available for those with experience. Aptitude for creating a vibrant and interactive learning environment. Comfortable in public speaking/presentation roles. Intermediate or higher Spanish; English proficiency a plus. Minimum one month commitment, 3 months+ preferred. Position Role: Design and run creative educational programming for children with our mobile library bus. Write updates about the bus for our newsletter and webpages; volunteer may also update various other social media platforms to engage and inform the public. Delegate daily tasks to general Library Bus volunteers for implementing activities. Spanish fluency; English proficiency a plus. Experience working with community leaders and educators, and/or parents of youth. Position Role: The Library Bus Facilitator is responsible for ensuring the smooth operation and growth of the Library Bus project. Work with Library Bus team to develop, implement and record bus activities for the children. Drive Library Bus to local schools for programs. Interest in developing a cohesive library collection for young students in Nicaragua. Intermediate or higher Spanish and English fluency. Position Role: Luz Verde is looking to expand its Library Bus project to include workshops in rural villages that empower local youth and their communities to promote understanding and knowledge of important concepts such as peer abuse, domestic or sexual abuse, gender rights, nutrition, public health and more. The Developer is a crucial part of making this program reality, as they will be responsible for developing the content and structure of these workshops while working alongside community leaders, local teachers and youth leaders. This position requires in-depth coordination with the Educational Program Coordinator who will be ultimately responsible for specific curriculum development. Identifying topics by meeting with community stakeholders to assess needs and desires of communities. Develop the structure, specific content and intended implementation of the workshops. Coordinate with other organizations to further develop materials, share resources and create collaborative workshops. Create and manage the collection of documentation and didactic material to be used in workshops and in future implementations. Analyze outcome of workshops through community meetings, in person observation, etc, to identify areas for improvement. Knowledge of social work, education, public health, and/or community partnerships. Ability to create didactic materials for workshops – knowledge of curriculum development, interactive instruction, etc. Ability to create and/or promote an interactive learning environment through implementation of workshops or training of promoters. Advanced or fluent Spanish. English language skills a plus. Minimum six month commitment, ideally 1+ year. Position can be full- or part-time. Position Role: The Sales and Development Officers will be the go-to people for ensuring smooth operations and future growth and development of Treehuggers Community-Led Tourism. Greet and assist customers looking for information; help tourists locate bus stops, etc. Marketing of tourism options to local, national and international tourists. Development of new tourism packages through collaboration with communities across various locations. Logistical planning with partnered international and national tour operators. Integrate customer requests/desires with the resources and needs of partner communities and families. Volunteer may also participate in social media outreach, including posting updates to Facebook, website, blog, or other networks. Ability to coordinate between guides, community members, program coordinators and Luz Verde director to develop new tourism ideas or manage unique client requests. Advanced or higher level Spanish and English language skills required; French and German skills a plus. Minimum three month commitment, six months+ preferred. Weekly hourly commitment of 40 hours; afternoon to evening schedule. 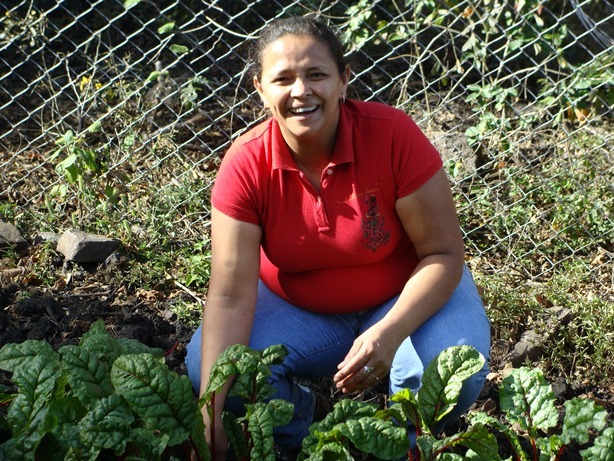 Position Role: The Organic Gardens Project Developer is responsible for managing and expanding the organic gardens project, a program with a focus on food security and seed harvest to promote sustainability. The Developer will be working directly with the local families who own the gardens, and the project director. Visiting families to coordinate planting schedules and identify successes and challenges across gardens. Organizing regular skills exchange workshops between gardeners and/or other regional growers. Cultural sensitivity and ability to incorporate new skills with existing skill sets. Position Role: The Con-META Project Facilitator is responsible for the development and continued implementation of Luz Verde’s many local conservation efforts. Develop and implement strategies to conserve local natural reserves in conjunction with local communities. Opportunity to work alongside other project facilitators including Family Organic Gardens and Eco-Tourism facilitators. Volunteer may also participate in social media outreach, including updates to Facebook, website, blog, or other networks. Ability to coordinate among multiple stakeholders to promote a cohesive and community-led program. Experience/Contacts with institutions that support bird conservation or related ecological issues. Weekly commitment of 20+ hours/week. Position Role: Luz Verde is currently seeking volunteers to grow investment as a social enterprise and secure capital funding for multiple social projects. Luz Verde operates as a non-profit social enterprise, and is partnered with three charitable organizations globally that help facilitate this as well. This is a flexible opportunity that may be done remotely, either short term or as an ongoing support for the organization. Support administration in strategic planning and monitoring to provide information required for grant or funds applications. Prior experience with grant applications and/or promoting fundraising initiatives. Knowledge of social enterprise business models and financing requirements. No minimum requirement; volunteer will work on an ad-hoc basis.